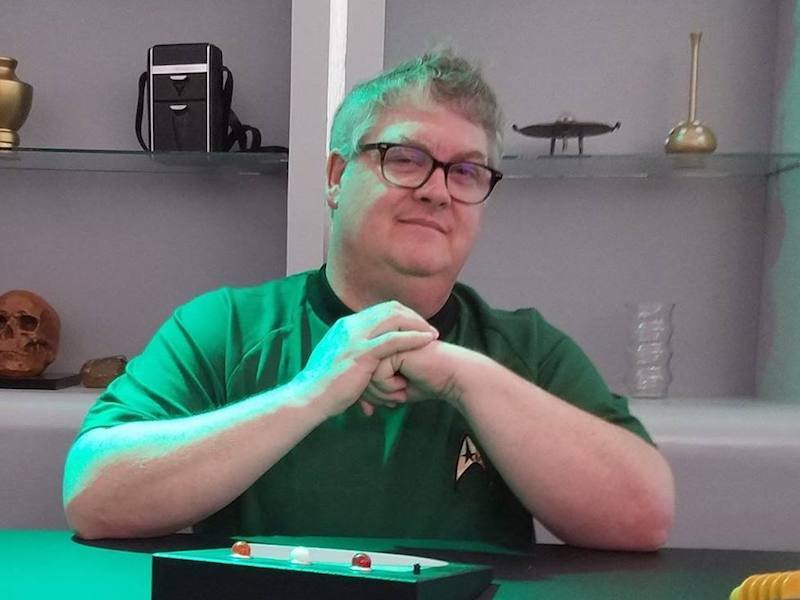 Say hello to Star Trek novelist and the guy behind some of your favorite Trek Keepsake ornaments… it’s Kevin Dilmore! You may find a bigger geek, but you’d have to look hard. Topics include Star Trek: The Animated Series, hanging a sick sense of humor on a Christmas tree, and H.R. Pufnstuf. We’re on the Mission Log Facebook page every Tuesday at 7pm Pacific/10pm Eastern.